At last, the dark wet days of winter are behind us and spring is certainly in the air today; the bright sunshine is a lovely reminder that sunny warmer days are not far away. 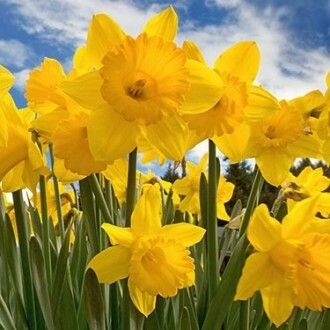 The daffodils are out and our thoughts turn towards the garden, naturally! We’re having a spring clean at Garden Requisites – out with the old and in with the new – currently working on a new website for launch at the beginning of April. The new design will make it cleaner and easier to navigate for you to find what you’re looking for. Also look out for new trellis and door canopy designs in the coming months – watch this space. For any further information please call us on 01225 851577.